The History of Halloween in the United States | Why do we Trick-or-Treat? Even though the origins of Halloween, or All Hallow’s Eve, are often debated, many believe that it began with Samhain, one of the major celebrations of the Ancient Celtic people who lived throughout Europe, including present day England, Ireland, and Scotland. Traditionally, Samhain was considered their New Year’s celebration because it marked the end of the growing season and the beginning of winter. As part of the celebrations, people would light fires, dress in animal costumes, and tell each other’s fortunes. Over time, the holiday evolved and the Catholic Church turned November 1, the original date of Samhain, into the religious holiday of “All Saint’s Day” or “All Hallows”, making October 31 the date of “All Hallow’s Eve”, or Halloween. 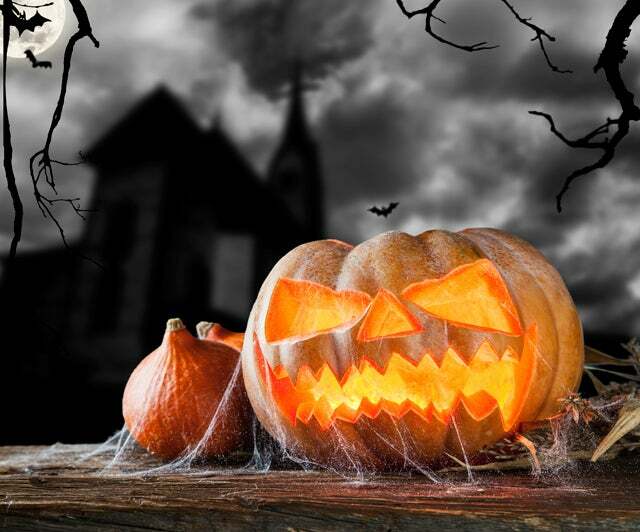 American colonists are responsible for initially bringing Halloween to the United States. Most of the colonists were Puritans and they primarily came from England which traditionally celebrated Samhain back when the Celts lived there. Although the Celtic religious traditions had been long replaced by Christianity, many of the old practices remained. However, since the American Colonies were influenced by a variety of cultures, Halloween traditions began to change. In the New World, All Hallow’s Eve became a time for “play parties”, which were private parties thrown to celebrate the harvest. People would dress in costumes, read each other’s fortunes, and tell scary stories. These were amongst the first Halloween parties! In the mid 1800’s, Irish immigrants began to come to the United States. Since the Celtic people also lived in Ireland, the people brought their Halloween traditions with them. This included dressing up in costumes, asking their neighbors for food and money, and pulling pranks in the evening on Halloween. Americans started doing the same thing, which eventually turned into our tradition of “trick-or-treating.” However, it wasn’t until recently that the “treats” were a lot more common than the “tricks.” In the 1920’s, for example, rowdy pranks had become expensive and costly, especially in major cities. Over time, cities and towns began organizing tame, family oriented Halloween celebrations, which eventually helped control the pranks. Once candy companies began releasing special Halloween candies, our modern idea of “trick-or-treating” was born. Halloween (as we know it today) wasn’t always celebrated in the United States, but it has certainly become an important part of our culture and we take it way beyond trick or treating with our Halloween gifts!